Anarchist academic David Graeber devotes the first section of his book Fragments of an Anarchist Anthropology to his attempt to answer the question, “Why are there so few anarchists in the academy?” For Graeber this is a pressing question given the veritable explosion of anarchist theory and lively debates over anarchism outside of the academy, especially within the numerous social movements which have emerged recently. Despite the blossoming of anarchist thought and practice, David Graeber is perplexed that this flowering of anarchism has found little reflection in the academy. Graeber seems to long for the type of success that Marxists have enjoyed in their move into the academy following the rise of Marxist theory among the students of the New Left. 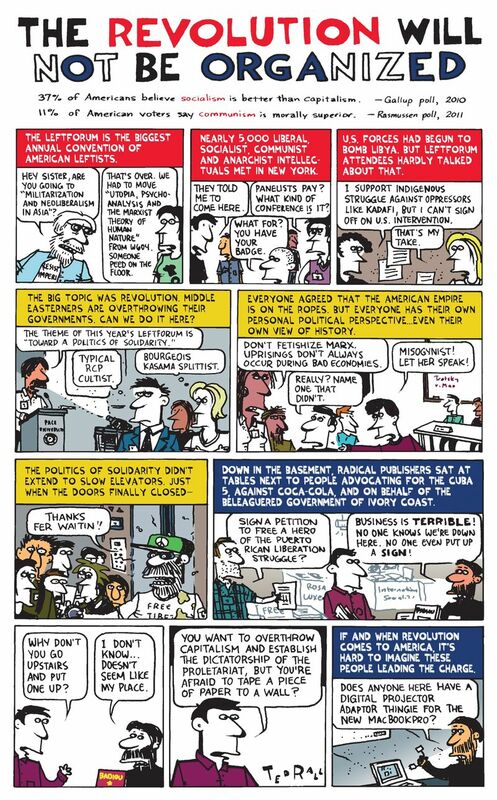 As he notes in his disappointed comparison of anarchist successes with those of the Marxists: “In the United States there are thousands of academic Marxists of one sort or another, but hardly a dozen scholars willing openly to call themselves anarchists” (2004: 2). In his view this is something that should be a cause of concern for anarchists. Yet it would seem that Graeber’s fears are quite unfounded. A glance across the academic landscape shows that in less than a decade, since Seattle in 1999, there has been substantial growth in the numbers of people in academic positions who identify as anarchists. Indeed, it is probably safe to say that unlike any other time in history, the last ten years have seen anarchists carve out spaces in the halls of academia. 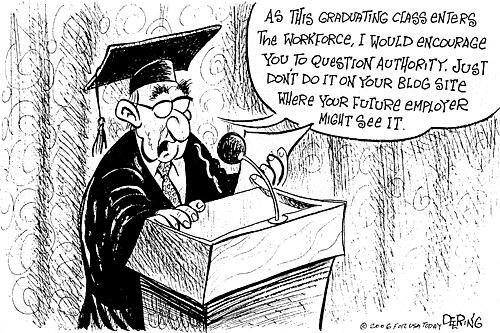 This is especially true in terms of people pursuing graduate studies and those who have become members of faculty. Several anarchists have taken up positions in prominent, even so-called elite, universities, including Richard Day at Queen’s University in Canada, Ruth Kinna at Loughborough University in England and, for a time, David Graeber at Yale (now at London). Indeed the Politics Department at Loughborough has actively recruited graduate students for a program of study that focuses specifically on anarchism. The flourishing of anarchism in the academy is also reflected in other key markers of professional academic activity. 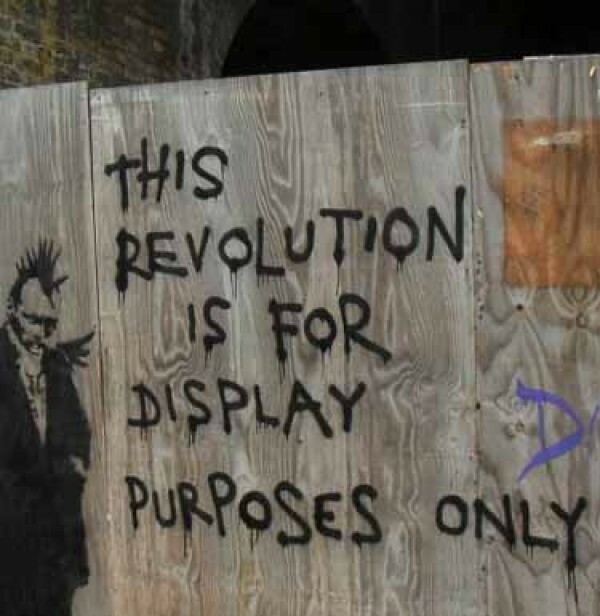 These include: Academic articles focusing on varying aspects of anarchist theory and practice; the publication of numerous books on anarchism by most of the major academic presses; and growing numbers of courses dealing in some way with anarchism or including anarchism within the course content. There have also emerged, perhaps ironically enough, professionally recognized associations and networks of anarchist researchers, such as the Anarchist Studies Network of the Political Science Association in Britain. 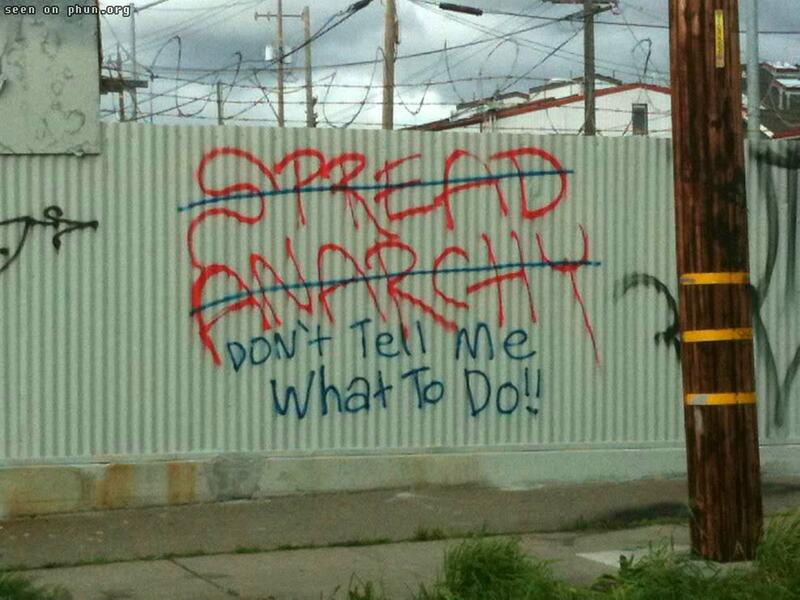 Suddenly it is almost hip to be an anarchist academic. At one time, not so long ago in fact, this would have been a curious situation for anarchists to find themselves in. There was once among anarchists a rather healthy suspicion of the academy as an elitist institution fully bound up with the reproduction and extension of power structures within capitalist societies. Yet the growing enthusiasm among some anarchists over their newfound acceptance within the academy, and the encouragement this gives growing numbers of anarchists to consider academic programs, has not been matched by critical reflection on the limitations of a turn to the academy by anarchists. This piece offers the beginnings of such a reflection and raises certain cautions. I should be clear that I am in no way criticizing individual anarchists for choosing to pursue academic work. I am certainly not suggesting that anarchists stay out of school or leave the academy in the manner of earlier generations of socialists who abandoned universities to take up industrial work. For sure the more places in which anarchist thought might develop and flourish the better. The advances made by neo-conservative academics in shifting economic and social policies, providing the intellectual capital for neo-liberal capitalism and imperialism, while making post-secondary education even less accessible for working class students, shows what can happen when we abandon or are defeated in any field of struggle. At the same time it is important to contextualize anarchist academic activity in relationship to other types of anarchist activities. If anarchists are to be effective in waging struggles in the academy, and even more importantly, if academic anarchism is to contribute anything to struggles outside the academy, then we need a clear discussion of the matter, one which does not tilt towards uncritical celebration or an envious longing for something we could as well do without. I write this as someone from a blue collar background, the first in my extended family to go to university, who has also spent perhaps way too much time in school so I have seen the view from multiple perspectives. David Graeber describes his recent work Fragments of an Anarchist Anthropology as “a series of thoughts, sketches of potential theories, and tiny manifestos — all meant to offer a glimpse at the outline of a body of radical theory that does not actually exist, though it might possibly exist at some point in the future” (2004: 1). The theory, the non-existence of which is of such concern to Graeber is, primarily, an anarchist current within academic anthropology. I say primarily because Graeber also asks similarly why there is no anarchist sociology, anarchist economics, anarchist literary theory or anarchist political science. In posing these questions, and in failing to acknowledge that on some level anarchist versions of each of these “disciplines” do in fact exist, Graeber betrays what is really at the root of his concern. That is the existence of academic or professional versions of anarchist thought in these areas and the acceptance of anarchist theories within established academic disciplines and institutions. Indeed in asking the question, “why is there no anarchist sociology?” Graeber entirely overlooks the significant sociological works of people like Colin Ward, Paul Goodman and John Griffin to name only a few. One could make the same point in identifying significant contributors to an anarchist economics, people such as Tom Wetzel and Larry Gambone. Notably these writers, while extremely important in the development of contemporary anarchist thought and influential within anarchist circles occupy only marginal places, if any in academic sociology or economics circles. So the problem is not so much the existence of anarchist sociology, but its recognition, acceptance and legitimation among academics or professional sociologists. Curiously Graeber even overlooks the contributions of anarchist sociologists who have succeeded in bringing anarchist theory into the academy such as Lawrence Tifft and Jeff Ferrell, again, to name only a few. The case is the same when one returns to anthropology. Graeber (2004: 38) claims that “an anarchist anthropology doesn’t really exist” and then sets it as his task to lay the groundwork for just such a body of theory and practice. Yet to make this claim, and even more to set himself up as the person to correct the situation, Graeber does a disservice to people like Harold Barclay who have been working tirelessly for decades to establish an anarchist anthropology within accepted academic circles. Curiously Barclay is a name that appears nowhere in Graeber’s writings on this matter. At this point, however, I would point out, in light of Graeber’s desire to see anarchism recognized within the academy, that many anarchists have been quite good at developing analyses that go beyond mainstream social science. Indeed such has been the invaluable work contributed by what I call constructive anarchist theorists from Gustav Landauer to Paul Goodman to Colin Ward. Again the problem has not been the absence of anarchist theory or theorists, low or high, but rather the acceptance of those theories and theorists within the academy. This is what concerns Graeber deeply but I have to ask whether such a concern might be overemphasized, if not misplaced. Of course to advocate unproblematically the move of anarchist theory into the academy is to present an uncritical rendering of the perils and processes involved in academic knowledge production. Beth Hartung, in a much earlier, and less optimistic account of the engagement of anarchy with the academy, sounded this cautious note: “Once a theory is taken from the streets or factories and into the academy, there is the risk that revolutionary potential will be subverted to scholarship…; in other words, knowledge becomes technology” (Hartung, 1983: 88). As Murray Bookchin (1978: 16) has similarly argued, academic works often subject social movement perspectives and practices, as in anarchism, to a reformulation in “highly formalized and abstract terms.” Almost thirty years after Bookchin’s observation it seems that the recent academic works on anarchism, produced by self-identified anarchists such as Newman and Day it might be added, have indeed continued this practice of making anarchist thought conform to the style and substance of the academic discourse of the day. Even with graduate training in social theory and familiarity with the language used in such texts, I find these works to be rather inaccessible. They are texts directed primarily at other academics, addressing issues almost exclusively of concern to academics in a specialized language that is most familiar to academics. Such approaches contradict the anti-vanguardist commitment shared by most anarchists. Some try to excuse this use of language by arguing that the complexity of ideas being addressed requires a complex language, beyond the grammar of more down to earth expressions. While this might be a fine position for mainstream academics I think that anarchists have to work harder to break the exclusivity of academic discourses. For anarchists, as Graeber (2004) points out, the role of intellectuals is in no way the formation of an elite that attempts correct political lines or analyses by which to lead the masses. Graeber (2004) suggests that academia might benefit from an engagement with anarchist approaches to knowledge production and sharing. Such an engagement would, in his view, allow social theory to be refashioned along the lines of direct democratic practice. Such an approach, drawing on the actual practice of the newest social movements, would encourage a move beyond the medieval practices of the university, which sees “radical” thinkers “doing intellectual battle at conferences in expensive hotels, and trying to pretend all this somehow furthers revolution” (Graeber, 2004: 7). An approach taken from social movements, beyond its rejection of “winner take all” attempts at conversion, might also allow for a move beyond a “great thinkers” approach to knowledge. Yet, I am not convinced that anarchists’ energies are best spent in trying to reform the academy in this way. The real problem is the existence of a hierarchical and inegalitarian social structure that separates and elevates knowledge production in such a way as to reproduce the existence of universities as exclusive and privileged institutions. Over the last two decades, largely through the hard work of feminist and anti-racist researchers, there has been a move to more participatory and community-based research. This has certainly been an improvement over the days of grand theory, conjured in an armchair, and the social science of surveys, statistics and social subjects. At the same time all of this new research, no matter how “community-based” still takes place within and is conditioned by its existence within an authoritarian and unequal political economy of knowledge production. The presence of a hundred or a thousand more anarchist professors within the hallowed halls is not going to change this much more than the presence of a few thousand Marxist academics has over several decades. More than this of course is what happens when anarchists, through the “publish or perish” pressures of promotion and the pursuit of tenure, begin to mold anarchism to fit the language and expectations of academic knowledge production rather than the other way around. This has been one of the fatal flaws of academic Marxism. Taking a language of the people, born of their struggles and aspirations, and turning it into something distant, abstract and inaccessible to the people, who have now been turned into little more than passive subjects of study or “social indicators” where they appear at all. Much of academic Marxism has become yet another variant of grand theory, something of a parlor game, exciting for its ideas perhaps, but of little social concern. Could the same not happen to anarchism? Some critics of the academically inspired “post-anarchism”, which has tried to meld anarchist theory with the esoteric philosophies of post-structuralism might suggest it is already happening. There is certainly something of value in drawing upon the works of social science, for example, to inform anarchist thought. Even mainstream social science can provide important information and analysis that might aid anarchists in examining, understanding, critiquing and changing society. The works of anarchists from Kropotkin to Reclus to Paul Goodman and Colin Ward have shown the beneficial aspects for anarchist theoretical development of an informed engagement with academic research. Similarly there have been a number of amazing works provided by historians providing insights on anarchist movements that might otherwise have been lost to time. For sure the works of historians have made the greatest and longest term contributions to anarchist movements recently. Overall, the emphasis should remain on using the academic work to inform and enrich anarchist analysis rather than using anarchist analysis to bolster academic disciplines or theoretical positions that have little connection with people’s lives. In terms of social theory, I would suggest that the work done by theorists such as Paul Goodman, Colin Ward, Murray Bookchin and Howard Ehrlich, people who may have been trained in universities but who have consistently offered complex analyses in engaging and accessible terms, offer more for anarchist movements “on the ground.” This is the case both in terms of the applicability of their analyses and in terms of the issues and concerns that they devote their attention to. The primary orientation of anarchist academics must remain the anarchist movements actively involved in struggles against capitalism and the state. 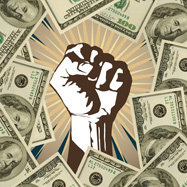 In some senses anarchist academics are subsidized by the movement activists who are doing the day to day work of building movements while the academics are pursuing their own, often very personal, interests. 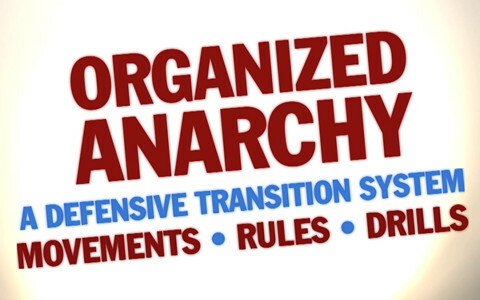 Anarchist academics need to recognize that while they are doing academic work, much of which is involved in “departmental work” or “professional development” which contributes little to social struggles, someone else is taking care of the organizing work (that they may be theorizing). This is not to say that anarchist academics are not able to contribute to organizing at the same time as getting their work done, it is more a call to remember the division of labor. I want to point out that I am in no way criticizing those anarchists who have taken work as professors for their choice of employment. Arguments that this represents some sort of sell out or compromise are ridiculous. There are worse jobs under capitalism, trust me I’ve had them, and there is no shame in taking a job that offers good pay, benefits and generally decent working conditions: As long as one does not become an academic boss with teaching and research assistants working for you, of course. My concern rather is the extent that creating a space within the academy is taken as a priority for anarchist organizing or comes to take up time that active and thoughtful anarchists might put into work in less exclusive contexts. Bookchin, 1978. “Beyond Neo-Marxism.” Telos. 36: 5–28. Hartung, Beth. 1983. “Anarchism and the Problem of Order.” Mid-American Review of Sociology. VIII(1): 83–101.